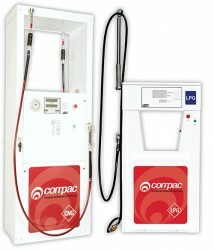 For more than 30 years, Compac has been supplying Fuel Dispensers and Dispenser Technology to refuelling stations around the world. Initially providing CNG solutions, Compac’s product range has expanded to include LPG Dispensers, Metering Technology, Payment Terminals and Fuel Management Systems. Combining beautifully engineered designs with cost effective solutions has played a key role in the development of these products. Compac continues to invest in product development and has attained international approvals for its products. The collaborative nature at Compac means future development of products will always be about providing customers with quality engineered solutions, at the right price. Compac Industries is a New Zealand owned and operated dispenser manufacturing company, based in central Auckland, with offices in Melbourne, Australia and assembly facilities in New Delhi, India.